Then: After four years of studying psychology, Dom decided it wasn’t the right career path for him and began working as a music journalist for The Brag Magazine. While he was writing, he also volunteered at Sydney’s FBi Radio, hosting their Sydney music show, The Bridge, once a week. Now: Dom is now living his dream as an Australian radio personality, journalist and blogger. 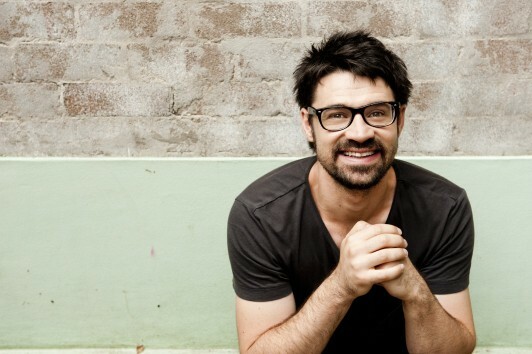 He is best known as the popular host of Triple J’s Home & Hosed which airs Monday – Thursday from 9pm. Thankfully I’ve never had to do anything really awful career-wise. But when I first moved into the city, I didn’t have a job and used to write for a community newspaper. It was boring at times, but it also taught me to write about anything, which has come in handy over the years. I feel like all my hard work, freelancing and volunteer work definitely led me to my job at triple j (which I love! ), so I’m pretty happy with the career decisions I made. I get to interview bands – and get paid for it – so I can’t complain. I’ve had plenty of great editors, mentors and friends who helped me in my early days, especially Jess Scully, Kirsty Brown and Marcus Teague. I have to give them props! I volunteered for FBi Radio and I did some writing for free in the early days and, while it does give you valuable experience and a foot in the door, you hit a point where you need to realise your value and when your time is worth more than zero dollars or more than just “exposure”. 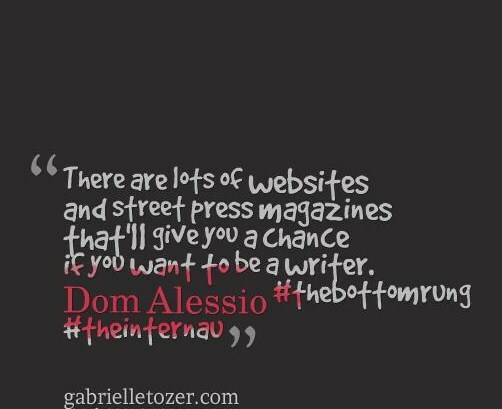 There are lots of websites and street press magazines that’ll give you a chance if you want to be a writer. Or, if you want to get into radio, there are plenty of community radio stations where you can volunteer. Don’t give up! Even when I was in my apartment with the fly screens falling off the windows, staring at the baby-poo-coloured carpet and being paid below minimum wage, I loved the work and stayed focus on the dream. I had faith that something better (and better paying) would come along and, after putting in the hard yards, it eventually did. I still can’t believe I listen to music every day for a job. Thanks again to Dom for sharing his advice! If you’d love to find out more, say hello on Twitter or Instagram.